This is Emma. She joined our family on December 30, 2012. 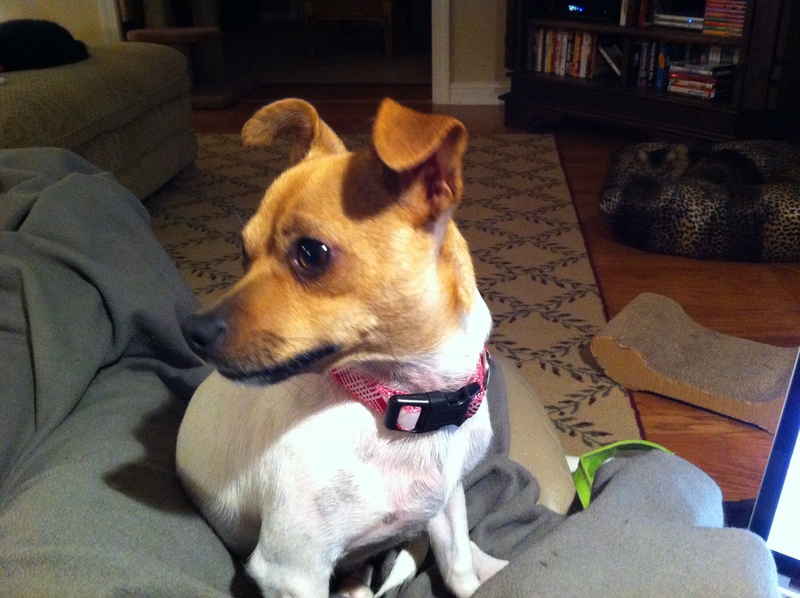 For more about Emma, check out her blog, Emma’s Tails. Her history as I know it is on her “About Me” page. Interestingly, lots of dogs are bloggers. My problem with setting up a new one is that I’ve forgotten terminology and WordPress changed it’s process to make it easier. Ease is a relative term. Anyway, life has changed for us. Two geezer laps and four lap animals will be difficult until we find an equilibrium.